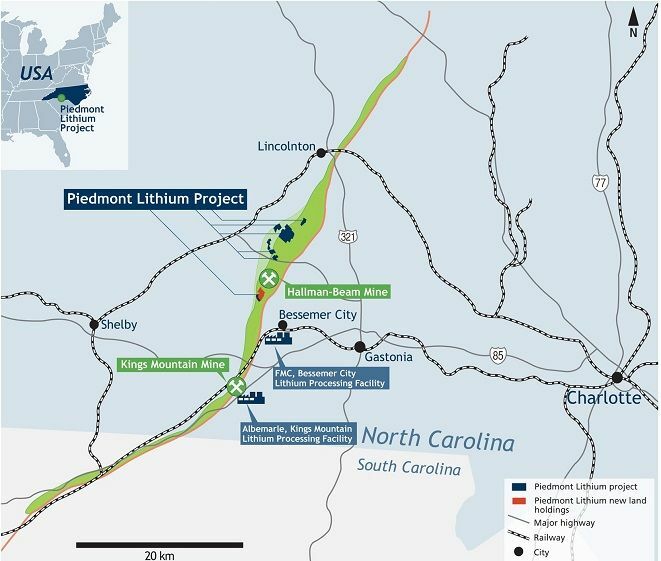 CAROLINA Tin-Spodumene Belt (TSB) developer Piedmont Lithium (ASX: PLL) has taken another major step forward in its quest to become the only hard rock lithium producer in the USA with the release of a maiden resource for its North Carolina property. The maiden indicated and inferred resource for Piedmont's flagship project is 16.19 million tonnes grading 1.12% lithium oxide for 182,000t of contained lithium oxide, or 450,000t of lithium carbonate equivalent, using a 0.4% cut-off grade. Some 8.5Mt, or 52% of the mineral resource, is in the indicated category. 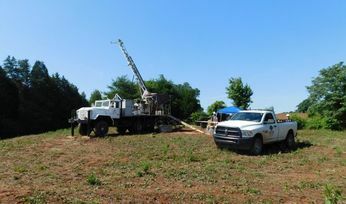 The resource is at Piedmont's Core Property, which is only 10km from Albermarle's past producing Kings Mountain lithium mine, and is the first resource estimate completed in the past 30 years in the Carolina TSB. The region is still home to the US lithium processing facilities of Albemarle Corporation and FMC Corporation. Independent consulting group CSA Global has also estimated an exploration target of 4.5-5.5Mt at 1.1-1.2% lithium oxide for the Core Property. Piedmont President and CEO Keith Phillips says the maiden resource surpassed the initial exploration target of 10-15 million tonnes at a grade of 1-1.25% lithium oxide. "The resource will underpin the upcoming scoping study, which we believe will reflect the significant advantages associated with our unique location," he says. "There are many interesting lithium projects being advanced around the world, but Piedmont has the only project based in the industrial heartland of the United States and the cradle of lithium production, with all the economic and strategic benefits that derive from that position. "With regional exploration progressing and constructive conversations ongoing with numerous local land owners, we are optimistic that this initial resource will be just the beginning, and that Piedmont is well-positioned to develop a world-class, low-cost integrated lithium business in the United States." Piedmont expects to complete the project scoping study in the September quarter this year. Phillips says the blueprint will reflect the company's strategy to build an integrated lithium processing business based on proven, conventional technologies and benefitting from the inherent advantages of Piedmont's strategic North Carolina location. Forbes magazine ranks North Carolina first in the US for attractiveness to business and industry, with no state mining royalties, first-rate infrastructure, including competitively-priced power and available mining and processing skilled labour, and established nearby lithium downstream industry. Phillips says the physical advantages should translate into significant cost advantages compared to most other brine and hard-rock production centres. "We have access to very low cost natural gas, power, roads, rail and mine service infrastructure, which should keep key input cost low relative to South American brines and new Australian spodumene conversion regions," he says. "Compared to remote northern Canada and Western Australia, we will not have the extra capital and operating costs associated with mine camps and a fly-in/fly-out labor force. "We are looking at a technically simple mine and process route - conventional technology that formed the basis of the mines and conversion in the region historically for 40 years from the 1950s till the 1990s. In a skills-challenged industry we are positioned within the Charlotte Metropolitan region which has an abundance of mining and chemical processing talent. "The region also has a favourable climate with year-round construction season so we expect a relatively quick construction and ramp-up period compared to the much longer lead times and technical challenges associated with brines or more unconventional clay deposits." Phillips says Piedmont is on private lands, meaning it has no exposure to the Federal Bureau of Land Management and its project approval regimes, and doesn't need the major water permits which can be a major consideration in Nevada. "Owning the properties outright means Piedmont is substantially free of royalties, which is not the case in many mining regions, in particular in Chile where the royalties can be as high as 40%," he says. There is study work ahead to confirm capital and operating costs around the preferred Piedmont project shape, but potentially, a relatively low capital cost and comparable operating cost (including the lack of royalties) could put the venture in a rare space for hard-rock lithium operations - at the low end of the cost curve. "And we have the ability to go straight to hydroxide, whereas the brines will have an extra step, and cost, in this process," Phillips says. "This is all set against a backdrop of being located in the heartland of the Eastern USA and positioned as a strategic source of supply to many of the manufacturing plants in operation and being planned on the Eastern Seaboard which include the likes of GM, Ford, BMW, Mercedes, Toyota, and Nissan. "North Carolina is one of the largest manufacturing states with the industry contributing over 20% to GDP and being host to not only Albemarle and FMC Corporation's operations in the region but that of many other heavy industrial manufacturing companies. "It is also a large mining and aggregate quarrying state with some large industrial minerals mines close to our intended operations. "So we see North Carolina as very development friendly, for both mining and manufacturing. "We expect about 9-12 months from submission of our permits to the relevant departments to the granting of these permits. We saw a mica mine nearby permitted in under nine months from submission, and a power plant which was recently permitted in the region in under 12 months. 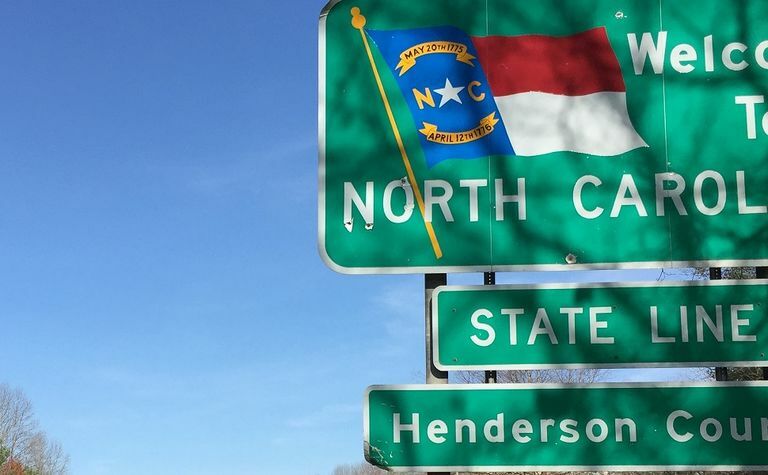 "We feel that being located in North Carolina's permitting regime is an advantage ahead of many other jurisdictions in the world." Piedmont's current metallurgical testwork is focused on production of a spodumene concentrate, but the company will also soon start pyrometallurgical testing with a view to examining production of battery grade lithium carbonate and hydroxide from its concentrate. "As could be expected from a region which pioneered the conversion of lithium ores to battery grade products for over 40 years, our initial testwork is progressing very well and we expect to update the market on our concentrate metallurgical test work soon and our battery grade lithium chemical test work later in the year," Phillips says. As well as prime access to low-cost gas, power and people, Piedmont also sees competitive access to reagents for concentrator and conversion plant activities as an advantage. "Low-cost transportation potentially keeps our import of reagents, construction material and people very, very low whilst keeping our delivery of our product low," Phillips says. "It's also worth pointing out that the historic mines in the area were able to monetize high-quality feldspar and quartz by-products given the low-cost transportation infrastructure and access to large US east coast markets, and we expect to evaluate this by-product potential later in 2018. "With our strategic position in the US, expected low- cost position and low technical and delivery risk to potential customers, we believe we are very well placed to develop a strategic and high-margin lithium operation." In a research note published by Foster Stockbroking, head of research Mark Fichera says the updated exploration target has the potential to boost the Core resource to at least 20Mt. "It would potentially provide a 20-year mine life at 1Mtpa, should all such resource eventually convert to reserves," he says. 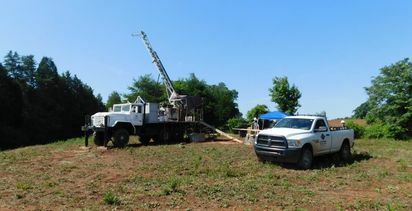 "Additionally the company is undertaking a drill campaign on the promising Sunnyside property which also has potential to add more tonnage to the Piedmont project." Piedmont expects to start submitting development permit applications later in 2018. The indications are that Piedmont faces few barriers to its goal of a being a low-cost, US spodumene-lithium producer - a unique position - in a rapidly inflating market for the battery mineral. It has assembled a strong management and technical team, has robust cash reserves, and access to the Australian and US capital markets - the latter via its Nasdaq (PLLL) listing - to enable it to convert the opportunity into a high-value enterprise. Jim Harkins, a veteran of more than 35 years' experience in mineral processing and 20 years with FMC Lithium, where he served as mill manager at FMC's Hallman-Beam spodumene concentrator, became a technical advisor to Piedmont last month. "The maiden resource puts Piedmont in an excellent position compared to other projects that are in late-stage study, construction or production," Phillips says. "As a management team we are confident that our project, with its location and other inherent advantages compared to brine or clay projects in Nevada or South America, will deliver far superior returns while also having lower technical risk for construction and start-up." 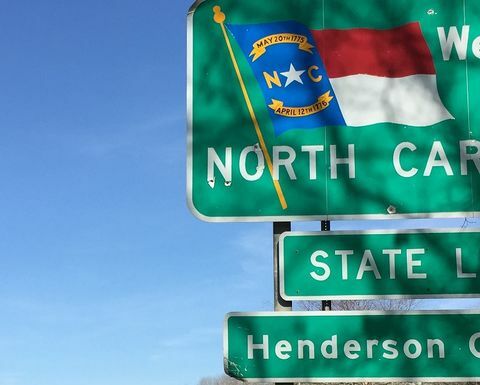 Piedmont has secured about 1,200 acres on the Carolina TSB and wants to establish itself as the dominant presence in the district through further astute land acquisition and development of its proposed integrated lithium operation. Phillips says discussions with neighbouring landowners continue. "It's important to note that by the 1970s the United States Geological Service estimated that the entire Carolina TSBelt contained over 700 million tons at grades similar to the range in our exploration target," Phillips says. "The two major historic mines in the region - Hallman Beam and Kings Mountain - contained about 30 million tons in the 1970s at slightly higher grades. "Each of these mines operated within a smaller land position than we currently control in North Carolina. "Resource definition and upgrading will remain an integral part of our overall business strategy as we advance the project into later stage study and eventually construction. We hope to increase and upgrade resources over time given the underexplored areas within our core land package and the new properties that we have recently acquired."